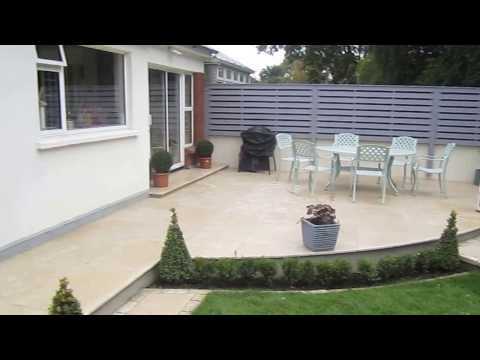 I won this landscapers contract in Rathdrum, Co Wicklow through my website on Google. 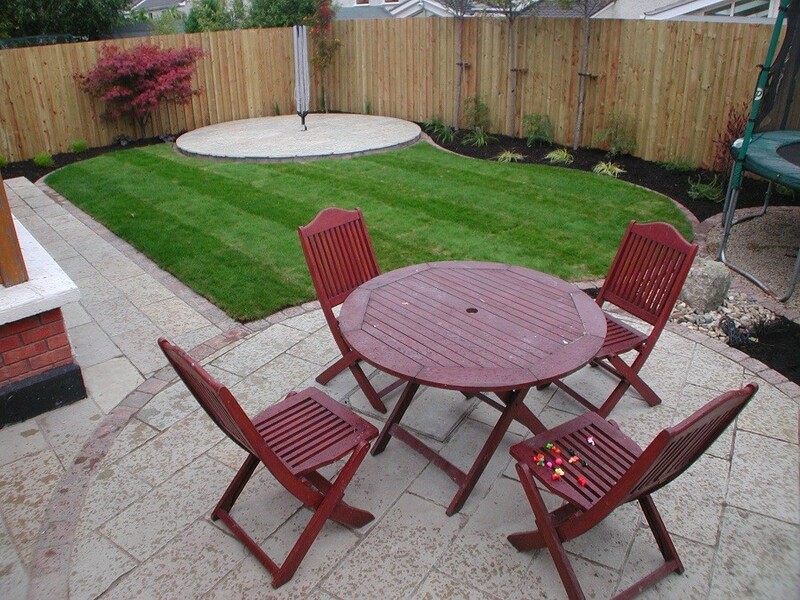 On first site visit this garden was downtrodden and in need of our expert garden design and landscaping services. 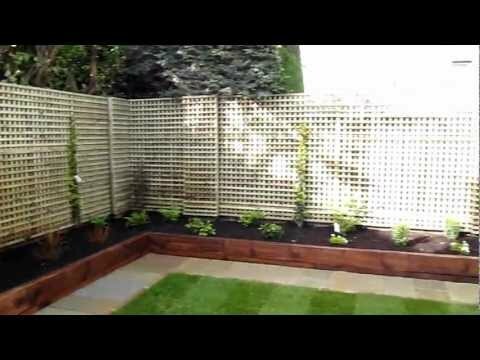 The garden was surrounded by a concrete post and shiplap panel fence which looked unsightly, was installed badly at different levels. The lawn was in a bad state of disrepair especially under the trampoline. The garden lacked structure or definition as there was no break between beds and lawn with the two growing into each other. 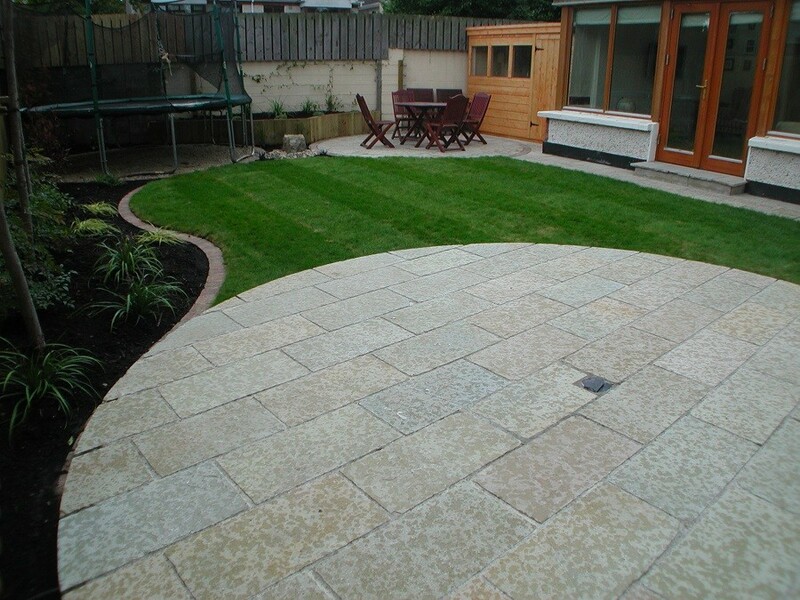 The paving was Donegal quartz laid in the crazy paving pattern. 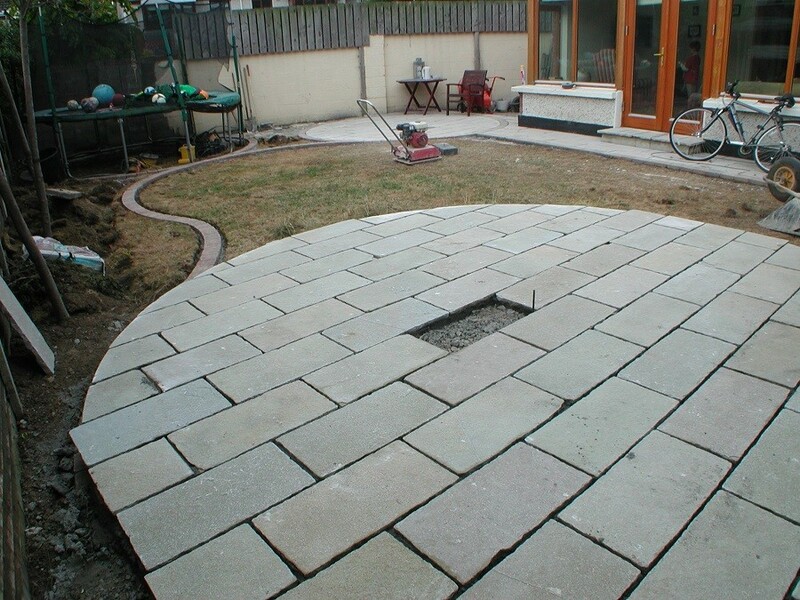 It was badly laid, uneven, with a lot of the pointing missing. The wall adjacent to the road had a wall extension which afforded good privacy and security but for some reason finished halfway down the wall. 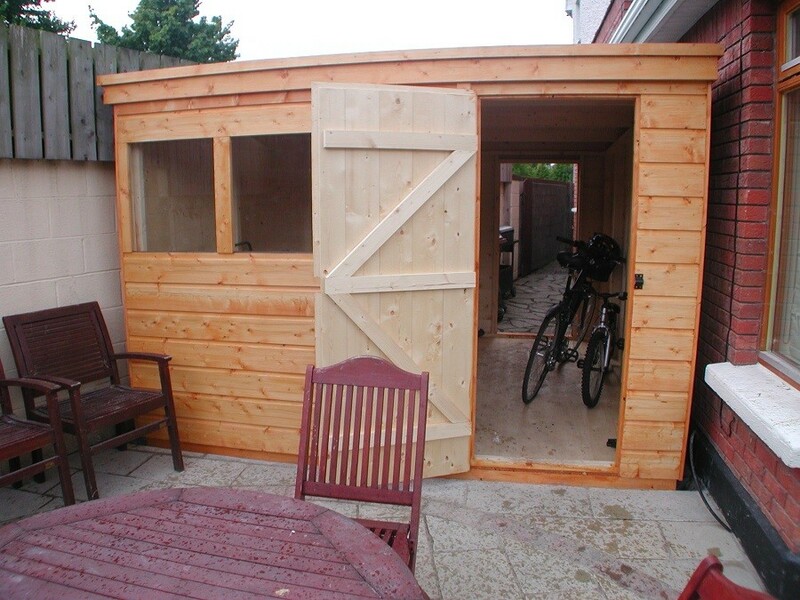 There was an old shed in the left hand corner which was rotten and would have to be replaced. The planting was mostly of the common shrub variety, most of which would have to go, apart from 3 x 3M standard Photinia ‘Red Robins’ strategically placed to give privacy, a Euonymus alatus and a fine Japanese maple specimen. 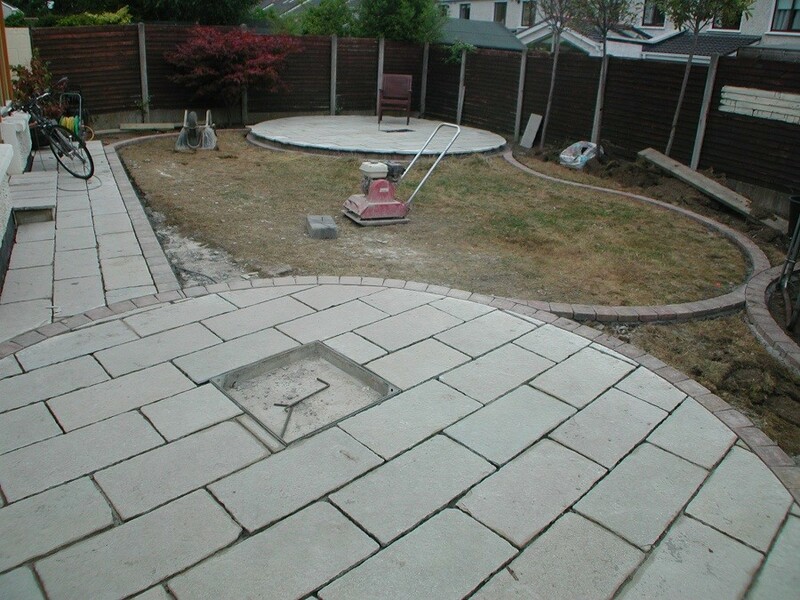 Structure and definition Armed with Site survey and above brief I returned 2 weeks later with a garden design incorporating all the above requirements. 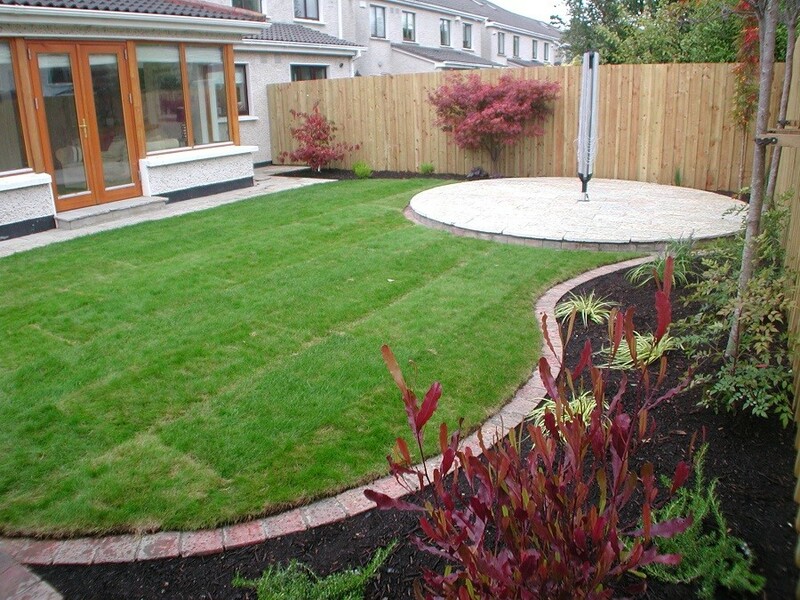 This garden design was very structured and used circles to create a feeling of more space in a small area. 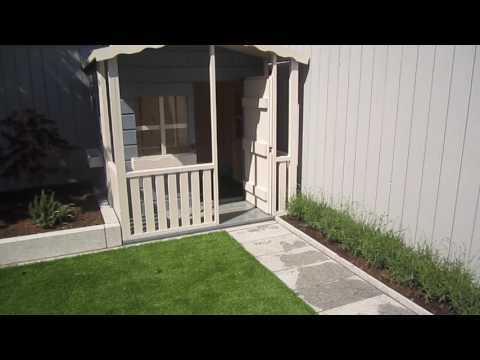 As the fence was shared with adjoining properties we couldn’t meddle with it. 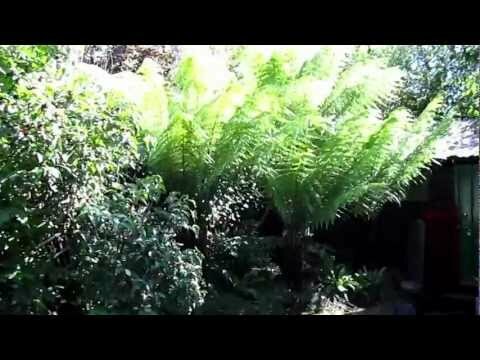 The solution was to connect joists to the concrete posts and create our own fence without disturbing the neighbours. The timber used was pressure treated Scandinavian spruce, connected vertically using two sizes of board to create interest. 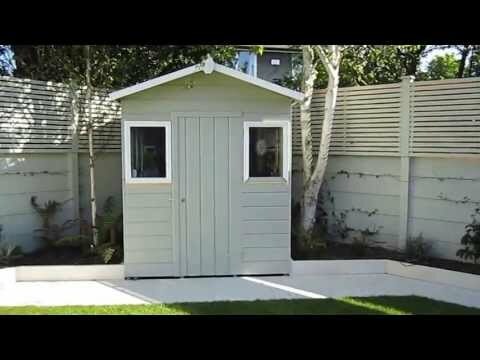 The custom-built garden shed served two purposes, one to act as a divide creating a utility area behind and second, for storage. 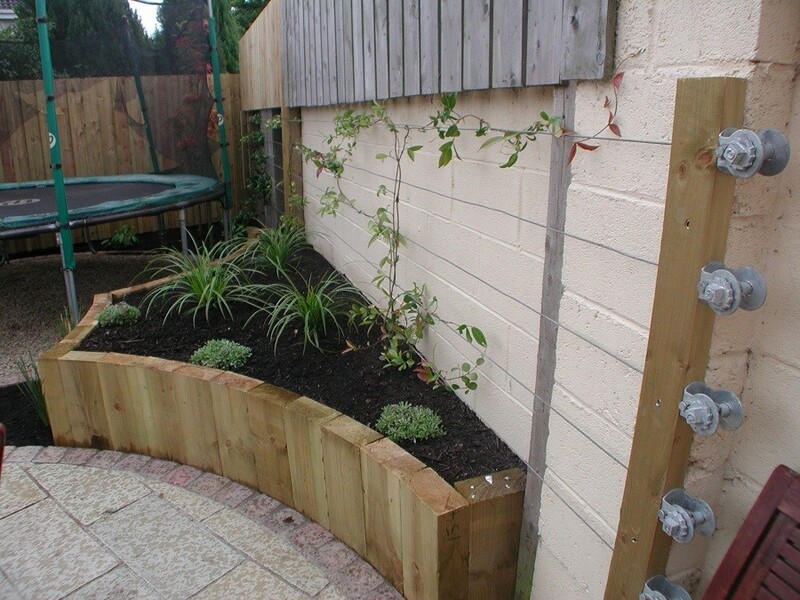 The raised bed was created using pressure treated sleepers laid vertically in concrete and protected internally using heavy duty plastic. 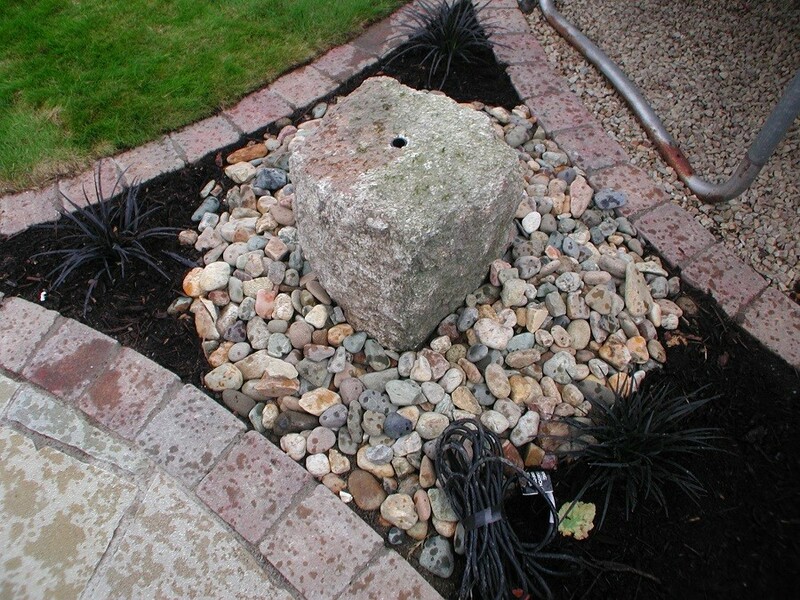 The water feature was a nice piece of granite with central hole and underground reservoir. 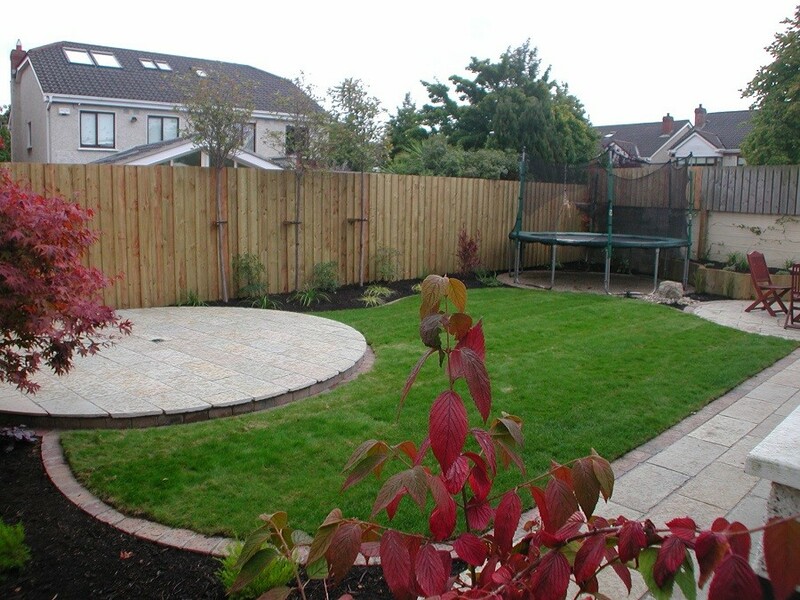 Low maintenance was achieved using limestone which is dense requiring no sealing, laying of mowing edge using Tegula heather paviours, a dedicated area for the trampoline meaning no weeds or struggling lawn, a planting mix made up of correctly chosen shrubs which won’t out grow their space and finally the laying of geo textile matting in the beds disguised with 50mm deep bark mulch to stop weeds. 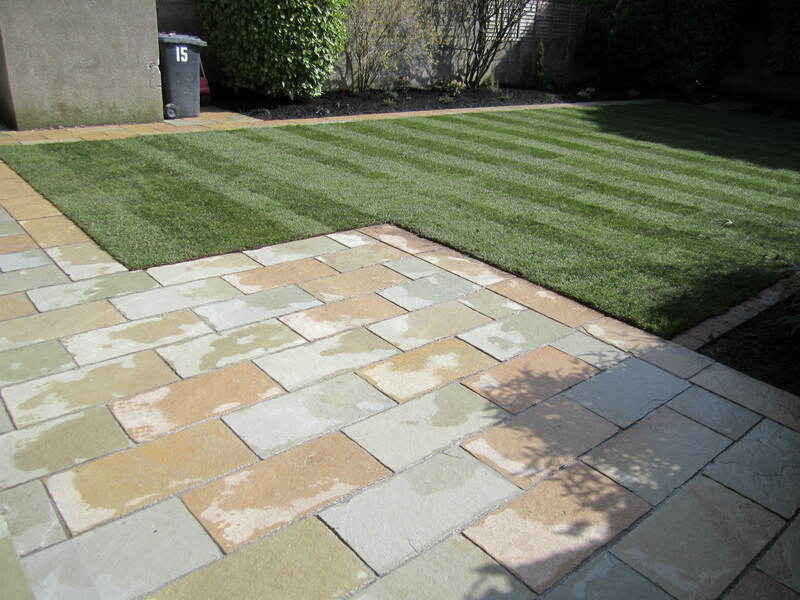 The matting and geo textile will not only reduce weeding but also help the plants in dry weather. 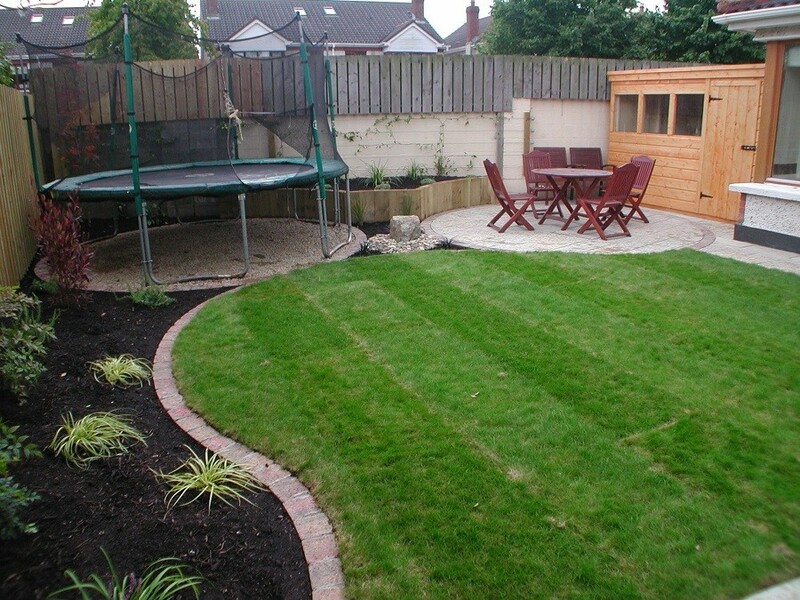 The plants used were Ophipogon plan. ‘Nigrescens’, Carex ’Evergold’, Rosmarinus ‘Prostratus’, Dodonea viscosa ‘Purpurea’, Diosma eircoides ‘Sunset’, Nandine domestica, Lirope spp., Carex spp., Trachleospernum jasminoides, Aubretia spp., Viburnum davidii, Heuchera ‘Purple Palace’, Sorbus aucuparia ‘Autumn spire’, Acer palmatum spp., Euonymus alatus, and Photinia ‘Red Robin’. 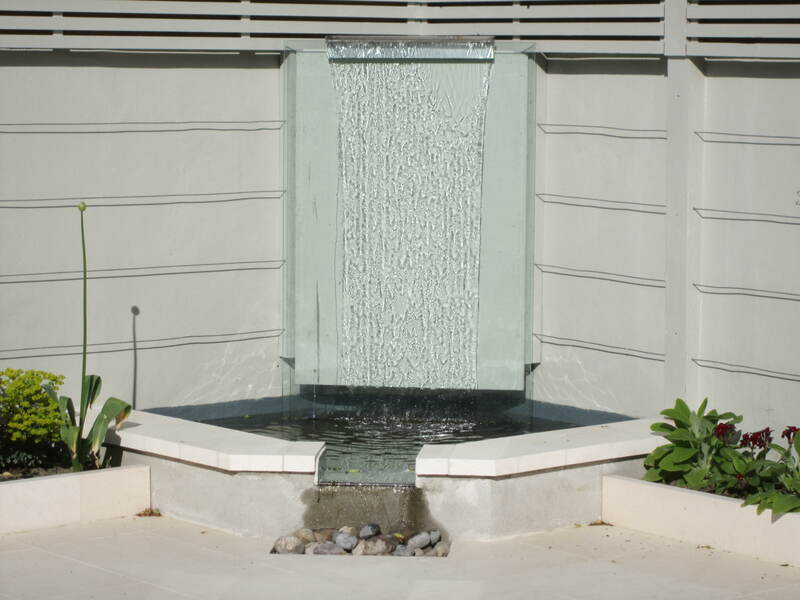 Below is the work schedule to complete this garden design. Previous: One of Kevin Baumanns Clients wins award for Exceptional Garden Design and Landscaping at the 2016 ALCI Awards, Belfast Titanic Centre. 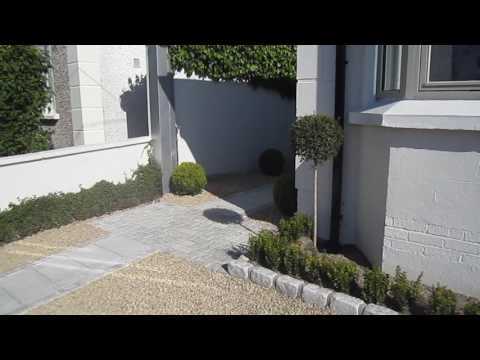 Next: Landscaping Contractors Design and Build, Churchtown, Co Dublin.